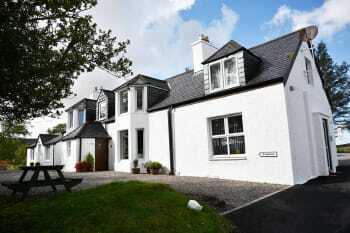 Kiltarlaglen House has been serving customers across the Isle of Skye since 1989. In that time we have accommodated thousands of visitors coming to visit the beautiful Island of Skye. 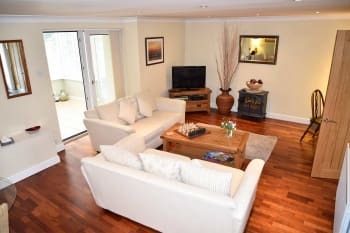 Our property boasts 3 bed and breakfast rooms and 3 self catering units all designed and furnished to a very high standard. Our location in the centre of the Isle of Skye offers the perfect base for exploring the Island. Many shops, restaurants and bars are within a mile and spectacular local walks are also available. There are no rooms available at Kiltaraglen House for these dates. 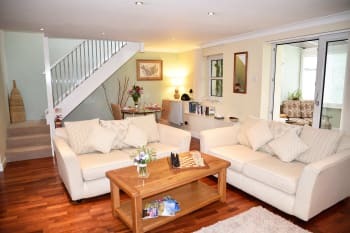 We loved having so much space for our family of four in the Garden Cottage. The kitchen was well equipped. 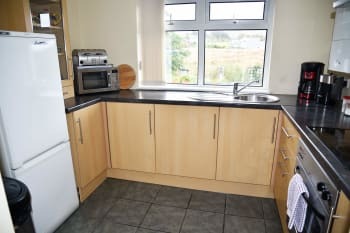 Very quiet location that is walkable to central Portree. We had a wonderful warm welcome from Pamela, the owner. She was extremely helpful in telling us all about the places we could visit. Thanks Pamela , we will be back! It is an easy walk down to all the restaurants and shops of Portree. Don’t try and take your car down as parking is really limited. This was the first B&B we stayed in on this trip, and it definitely set the standard for the rest of our time in Scotland. Kiltaraglen is situated just up the hill from Portree, meaning there were excellent views of the mountains and quiet evenings on the lovely grounds. Pam is a kind, hospitable hostess who serves a terrific breakfast and is a delight to talk to. She shared recipes with my Mom, and had many suggestions for us. I would happily stay here again (and again!). Pam was very helpful to me when preparing my visit - she sent me several emails with lists of things to do/see and places to eat in Portree. We ate very well: one night at Sea Breezes, and one night at Dulse and Brose (reservations necessary for both). As for what to see: we were on a delightful Rabbie's tour, but could've spent a week staying with Pam on Skye and still not seeing everything. This is a lovely place to stay offering all the facilities one could want on a holiday. Amazing place to stay in beautiful surroundings. We were sad to leave and hope to return soon! We were traveling around Scotland a lot and therefore stayed in many different Inns and Airbnbs. This was by far the best of all of them. It was beautifully decorated and appointed and we can’t say enough wonderful things about it. The grounds are gorgeous. We only hope we were good enough guests that Pam will welcome us back when we return to Skye. Plenty of good restaurants and shops within an easy stroll to the town center. Yet you are away from any traffic and noise and, if you arrive by car, there is guest parking available. The cottage was lovely. My only suggestions would be that it would be nice to have some tea and coffee available and also that the check in and checkout times are changed so that you can check in at 3 pm and check out at 11 am. Great house and beautiful scenes! Our hosts were friendly and helpful. Their guest guide was a great history of the community and property. Lots of love and years of hard work have make this B&B a joy to visit. It's a ten-minute walk to downtown Portree, and that's a good way to go to avoid traffic and parking problems. Lovely people. Cottage very clean and comfortable. We truly enjoyed our visit. A beautiful place to stay! Wish we could have stayed longer! We loved our stay. Beautiful self-catering cottage with a luxurious bathtub upstairs and everything we could possibly want...except for a toilet on the same floor as the bedroom. That was the only drawback and I would strongly recommend adding one there if at all possible. Besides that, everything was wonderful! Thank you! Loved the layout of the house. Bright, spacious, open plan. Helpful welcome from the owner, good location on the edge of town. Plus we were lucky with 5 days of great weather. We stayed in Holly Lodge Annexe and it was perfect in every way. There is nothing overlooked in this gem of a place, everything has been thought through and there are lovely touches throughout. Pam is an excellent friendly host, she's a cracker! The bath in the bedroom upstairs was fantastic and very welcome after a day's exploring, such a great idea!! 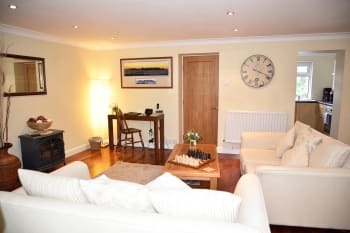 Holly Lodge is a perfect base for access to Portree (within walking distance) and the rest of Skye, you're never too far away from anything here. I'd give Holly Lodge 100% - wouldn't change a thing - so much so that I came home and bought the same bedding and a lamp which I loved too - curtains will be next!!!! Book in advance for evening meals in Portree - we stayed at the beginning of the Easter Holidays and we thought we'd be able to walk in and get a table - not so! Would recommend the Cafe Arriba - lovely space for a breakfast / lunch / snack. Closes at 5pm tho, so no evening meals. We stayed in the Garden Wing. 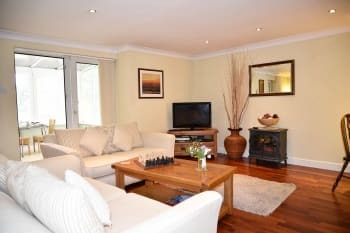 A beautiful and unexpectedly roomy house in a peaceful location but close enough to walk into Portree. We would definitely come back here if visiting Skye again, this place would be hard to beat. Bosville restaurant and Arriba cafe were our two favourite places to eat out (book for the first, queue for the second!). Skye bakery/ gallery is lovely too. There is a bigger 'out of town' co-op just out of Portree. The Kiltaraglen House is wonderful. Is espacious, confortable and with amazing views. Pamela is a kind and lovely. She gaves us a very good atention. The house is in a good location and quiet.